In the jewelry world there are several documents that are worth knowing about and identifying for your peace of mind. Some protect you from loss, others define what exactly you purchased. It is always good to know what these are and the differences between them. When a diamond is sent to a gemological laboratory, it is evaluated to determine all its characteristics based on the 4 C's. In addition to carat, color, cut and clarity gradings, a diamond may be plotted, which means an internal map of any and all imperfections are drawn out. In addition to the grading and plotting, a diamond's dimensions and angles are calculated and written into the certificate. All these definitions make up each diamonds unique and individual "certificate". The job of a certificate is to validate that the diamond in your possession is in fact the grades listed. However, there are many gemological laboratories that issue certificates and each lab may have different criteria for determining a grade, so it is likely to have slight variances from one lab to another. Certified diamonds also cost slightly more, due to the cost in certifying a stone as well as the peace of mind the buyer is purchasing with the knowledge of what he or she owns. A certificate is NOT enough proof for insurance purposes. It is simply a document confirming what the diamonds characteristics are. An appraisal is a document taken out on a piece of jewelry (or loose diamond) that gives the item a fair resell value in current market. In other words, should an item be purchased at a certain value, the appraisal will determine in case of loss or theft, that in order to repurchase the item again, this would be its value. 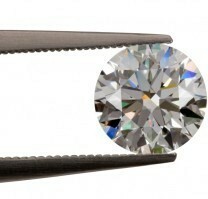 An appraisal will typically list all characteristics of the diamond or jewelry so as to identify it best as possible. Appraisals are best done by certified appraiser, which some jewelry stores may have. It is not a required document to receive with purchase usually, and an owner would need to seek out receipt of an appraisal, though they are not a very costly document. An appraisal (or invoice of purchase) are typically required documents for insurance companies in order to insure a valuable item. Note they need proof of cost to determine value. Obvious to its name, an invoice is a document received when purchasing an item, whether jewelry or diamond. Not all retail establishments detail in an invoice all the gemological information about a diamond or jewelry, but rather a general description and price. Though an invoice is accepted by some insurance companies, it does not typically define the 4 C's, therefore may not be suitable for insurance purposes. Though insurance is always a good thing to have on valuable items, many couples don't think of insuring their jewelry. Insurance for jewelry can be taken out in two fashions, either included in an already existing home owners or renters insurance policy, in which case the items are simply added to the policy. The other means of insurance are stand alone policies just for the items requested. Though these policies usually fetch a higher premium, they may be worth it in the long run, since they pay a higher benefit should your jewelry get lost or damaged. For insurance purposes, most companies will require either an invoice or an appraisal. I have worked over the years with some fine insurance companies that specialize in jewelry and would be happy to point anyone looking for jewelry insurance in the right direction.